VectorVest UK MD David Paul discusses UK and US short-term and longer term trends on Core Finance TV. UK market short-term and longer term trend both up whilst U.S. market short term trend down and longer trend up. David also speaks on VV most conservative ‘worry free investing’ model portfolio, which for 2019 to date (8th March) is up 17%. Plus VV more aggressive portfolio, MT Prospects. VectorVest provide both conservative portfolios for longer term hands off investors and more aggressive portfolios for short term swing traders. Buy Griffin Mining #GFM says VectorVest. Recent price action, technical picture and fundamental outlook point to attractive upside opportunity. Griffin Mining Limited (GFM.L) is a mining and investment company, incorporated in Bermuda and listed on the London AIM market. The major asset of the Company is an 88.8% interest in Hebei Hua Ao Mining Industry Company Limited, the holder of 6.0 square kilometres of mining and exploration licences and the mine and processing facilities at Caijiaying in the People’s Republic of China. The Company also holds 90% of Hebei Sino Anglo Mining Industry Company Limited, which controls 15.7 square kilometres of exploration licences immediately surrounding the Caijiaying Mine. The Company continues to aggressively explore, expand and develop the Caijiaying mine, whilst also investigating further potential acquisitions of mining projects that are capable of being brought into production and to meet historically preset, economic returns to shareholders. On numerous occasions in the past, VectorVest has flagged up the GFM investment opportunity to members. A strong run earlier in the year despite the weak zinc price was followed by a retracement in the stock through the summer months, followed by the beginnings of a recovery in September. Now trading at 111p, the stock logs an excellent RV (Relative Value) rating of 1.44 (scale of 0.00-2.00), but uncertainties over China and the trading environment weighs across the RS (Relative Safety) metric, where GFM scores a fair rating of 0.92 (scale of 0.00 to 2.00). 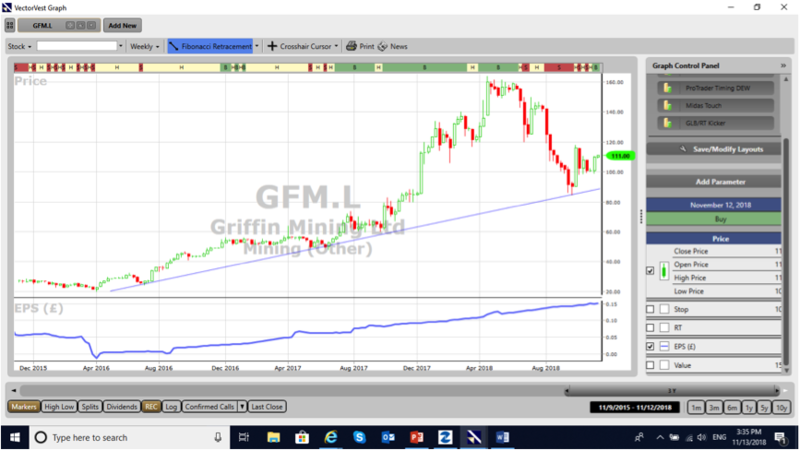 Despite this, GFM logs a very good Relative Timing (RT) (stock price trend) rating of 1.30, (again on a scale of 0.00 to 2.00) and an excellent forecasted GRT (Earnings Growth Rate) of 29.00%. VectorVest believes the stock is well worth considering at current levels against a current valuation of 159p per share. 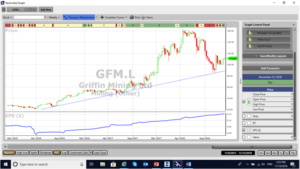 A weekly chart of GFM.L is shown above over a period of 3 years. After an outstanding run from around 60p to 160p (which most VectorVest subscribers banked) the share has pulled back to the long-term support as defined by the inclined simple trend line of the chart. 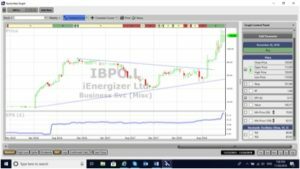 The pullback occurred in a three-wave pattern which technical analysts consider to be a correction rather than a change in the longer-term trend. From the low on 24thSeptember at support the share has been strongly accumulated and is now on a BUY recommendation on VectorVest. A break and close above 118p would confirm a rising bottom which is a very positive sign. Summary: A long standing favourite of VectorVest (and myself), GFM provides a reasonably predictable platform, which, if the timing is correct can yield decent returns. We believe such an opportunity exists now given the recent price action, technical picture and fundamental outlook as stated by the Chairman. Investors uncomfortable with mining operations in China may want to look elsewhere, but our view remains that the stock currently offers an attractive amount of upside even with softer commodity prices and a strong US$. Brand CEO Alan Green talks PowerHouse Energy #PHE, Bloomsbury Publishing #BMY, Salt Lake Potash #SO4 & Vast Resources #VAST with Justin Waite on the Vox Markets podcast. Interview is 9 minutes 40 seconds in. Buy FairFX Group (FFX.L) says VectorVest. This innovative financial challenger brand offers a compelling investment opportunity right now. FairFX Group Plc (FFX.L) is a leading challenger brand in banking and payments that disintermediates the incumbent banks with a superior user experience and low cost operating model. This enables personal and business customers to make easy, low-cost multi-currency payments in a broad range of currencies and across a range of FX products all via one integrated system. Banking and payment services to both personal and business customers are made through four channels: Currency Cards, Physical Currency, International Payments and Bank Accounts. The FairFX platform facilitates payments either direct to Bank Accounts or at 30 million merchants and over 1 million ATM’s in a broad range of countries globally via Mobile apps, the Internet, SMS, wire transfer and MasterCard/VISA debit cards. The impressive progress by FFX since Feb 2018 did not go unnoticed by VectorVest. A Relative Value flag (RV is an indicator of long-term price appreciation) had originally alerted members back as far as Sept 2017, as the level moved above 1. The FFX RV has remained well above 1 since that time, and today logs the stock at 1.71, which is both exceptional and excellent on a scale of 0.0 – 2.0. Other leading metrics on the VectorVest stock and portfolio management system include a GRT (Earnings Growth Rate) of 48%, again both exceptional and excellent, along with a good RS (Relative Safety) rating of 1.12, also on a scale of 0.0 – 2.0. Even so, trading today at 138p, FFX is still some way below the current VectorVest valuation of 183p. The chart of FFX is shown above in my normal format. The green line study above the price is the VectorVest valuation while Earnings per share is reflected by the blue line study in the window below the price. Technically the share is trending higher but currently “coiling” within a symmetrical triangle. A breakout of the upper trendline defining the triangle should lead to a strong move upwards. Summary: FFX already dominates what is a highly competitive space with its secure low cost, multi-currency payment solutions. 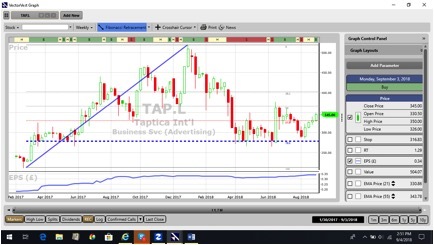 Eagle eyed VectorVest members who spotted this opportunity back in September last year will already have seen their investment double in value, but as the fundamentals and charting configuration indicate today, there is a great deal more growth to come. FFX stated that H2 is about extracting efficiencies via scale, evolving banking products for SME’s and continuing to identify and maximise cross-selling opportunities. On the evidence presented today, this innovative financial services challenger brand will continue to deliver growth with this strategy, and in the opinion of VectorVest, offers a compelling investment opportunity right now. Buy. Founded in 1996 in Bexhill-on-Sea on the Sussex coast, Hastings Group (HSTG.L) is one of the fastest growing general insurance providers to the UK market, with 2.7m live customer policies and employing over 3,400 colleagues at sites in Bexhill, Leicester, Gibraltar and London. The group, which also trades via ‘Hastings Premier’, ‘Hastings Essential’, ‘Hastings Direct SmartMiles’, ‘People’s Choice’ and ‘insurePink’, provides straightforward products and services to UK car, bike, van and home insurance customers with around 90% of policies directly underwritten by its Gibraltar based insurer, Advantage Insurance Company Limited. The Group operates as an integrated insurance provider with two businesses. The Group’s Retail business, Hastings Insurance Services Limited, is responsible for the end customer pricing, fraud management, product design, distribution and management of the underlying customer relationships. The Group’s Underwriting business, Advantage Insurance Company Limited, engages in risk selection, underlying technical pricing, reserving and claims handling. VectorVest metrics flagged up the progress of this stock to members as the key RT (Relative Timing) metric ticked up over 1 in early May 2018. The HSTG share price and RT metric fell back from that point and bottomed out at year lows around 229p in July, but subsequently both share price and RT metric moved sharply higher. Today, the HSTG RT metric, (a fast, smart indicator of a stock price trend) logs the stock at 1.29 – very good on a scale of 0.00 to 2.00, but the RV (Relative Value) metric, (an indicator of long-term price appreciation potential) logs HSTG as excellent at 1.42 (also on a scale of 0.00 to 2.00). The stock continues to register an excellent GRT (Earnings Growth Rate) rating of 20%, but still offers considerable scope for further upside trading at 270p against a current VectorVest valuation of 367p. 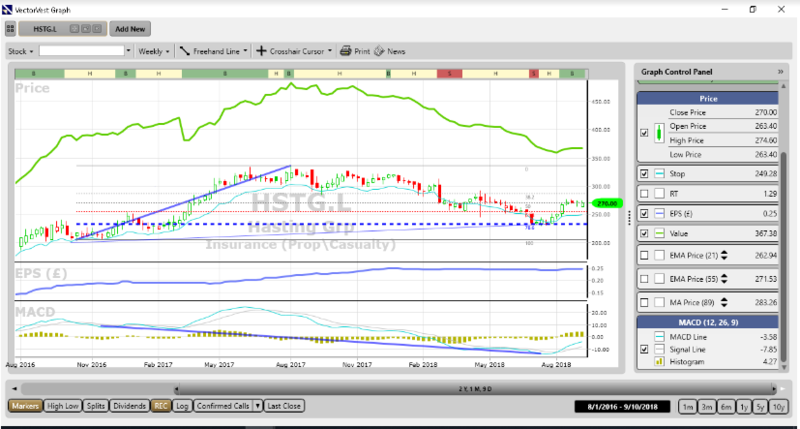 A weekly chart of Hastings is shown above. After a strong upmove the share retraced to 78% of that move. The latter is a support level used by Fibonacci orientated traders. From this level after a two-month period of accumulation the share price has advanced and is currently on a VectorVest Buy signal. 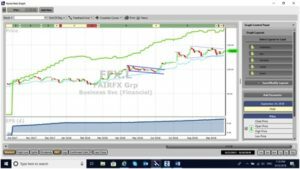 The major reverse divergence also known as a “slingshot” between the price and the MACD indicator is very positive for a further upside move when the mood of the overall market improves. Summary: Motor and general insurance is an incredibly competitive and fast-moving industry, where market leaders have to continually evolve, while at the same time retaining careful cost controls. 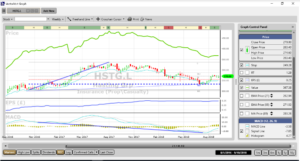 With its broad product portfolio, HSTG is arguably one of the finest exponents of this particular art, as demonstrated by the strong set of interim results. Of particular note is the strong solvency position and free cash generation, essential components for growth, that no doubt give the group CEO his clearly stated confidence in the full year outcome. Given the disparity between the current share price and target, supported by a bullish chart, VectorVest recommends the shares as a buy.